After Sessions marijuana memo, where do U.S. attorneys stand on weed? So where do the U.S. attorneys stationed in the nine states (and Washington, D.C.) that have legalized recreational marijuana stand? Here’s what we know about the top federal prosecutors in those districts one month into the post-Cole Memo paradigm. Nominated by President Donald Trump last July, confirmed by the Senate last November. Soon after Sessions’s announcement, Schroder said in a statement that his office will continue to follow long-established principles in deciding which cases to charge, including following federal law enforcement priorities. 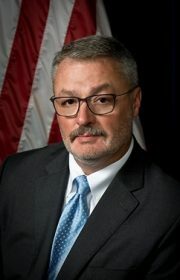 “The highest priorities of the U.S. Attorney’s Office in Alaska are consistent with those of the Justice Department nationally: combating violent crime, including as it stems from the scourge of drug trafficking,” he said. That was enough of a reassurance for state Marijuana Control Board chairman Peter Mlynarik. The Soldotna, Alaska, police chief resigned and said that Sessions’ decision strips away the underpinnings for the legal marijuana industry in Alaska. The very day Sessions’ announced his marijuana policy shift, the U.S. Attorney for the Northern District of California, Brian Stretch, stepped down. 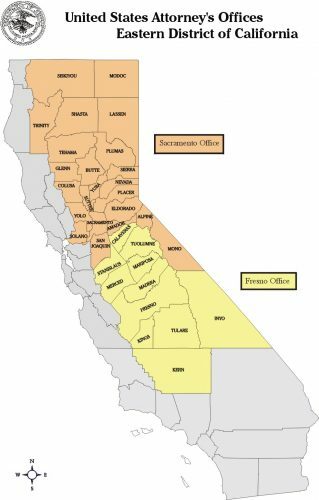 His departure allows the attorney general to appoint an interim U.S. attorney to oversee some 20,000 square-miles of the Golden State stretching from Monterey all the way north to Humboldt, Mendocino and Del Norte counties and including the entire Bay Area. Stay tuned to The Cannabist for news on Sessions’ pick for the post. Nominated by Trump last November, appointed as interim U.S. Attorney last December. Scott is a well-known commodity in California’s cannabis industry. He grew up in Humboldt County, and previously held the post from 2003 to 2009 when he was appointed by President George W. Bush. During that period he prosecuted cases that sent fear throughout the medical marijuana industry, The Sacramento Bee reported. Appointed as interim U.S. Attorney on Jan. 5. Los Angeles last month launched recreational marijuana sales, even thought their new U.S. attorney has thus far stayed mum on marijuana prosecutions, according to Southern California Public Radio. The Central District of California includes Los Angeles, Orange and five other counties. Neither Sandra Brown, the district’s outgoing U.S. attorney, nor Hanna, who started his job as interim U.S. Attorney the day after Sessions quashed the Cole Memo, would comment to SCPR on the new policy. Another former U.S. attorney for that district, Robert Bonner told SCPR that he thinks Hanna will have bigger fish to fry. Appointed as interim U.S. Attorney last November. Acting U.S. attorney since 2016 and appointed interim U.S. attorney last November. Days later, he addressed members of the state’s congressional delegation via a conference call, telling them that the new federal guidelines would not lead to an increase in marijuana prosecutions in the state at the expense of other high-priority law enforcement issues, including immigration, the opiod crisis and violent crime, The Cannabist reported. According a press release issued by Colorado Congresswoman Diana DeGette following the call, participants were pleased to hear where things stand in their state. Nominated by Trump last July and confirmed by the Senate last October. Maine’s top federal prosecutor said in a statement Jan. 9 that his office will not make prosecuting marijuana users a priority. Instead, he said his office will focus on traffickers of “hard drugs” such as opiates, cocaine and crack. The state’s voters approved a law legalizing recreational marijuana in November 2016. Beginning this month, recreational sales are legal, but Republican Gov. Paul LePage‘s administration has not instituted a licensing and regulatory framework for those sales. Nominated by Trump last September and confirmed by the Senate last December. The top federal prosecutor for Massachusetts in the immediate aftermath of Sessions’ decision offered no assurances for legal marijuana businesses. Appointed interim U.S. attorney Jan. 3. The appointment of Elieson, a former assistant U.S. attorney in Texas, the day before Sessions rescinded the Cole Memo baffled Nevada legal experts, The Las Vegas Review-Journal reported. She has yet to release a statement on the enforcement of federal marijuana laws, leading Sen. Catherine Cortez Masto, D-Nev., to tell the Reno Gazette-Journal that she’s as anxious as everyone else to find out her take on the Trump administraion’s marijuana policy. The state’s freshman senator also said she’s encouraging the acting U.S. attorney to continue the Obama administration’s hands-off approach to recreational pot. Became acting U.S. attorney in April 2015 and Trump nominated him again last November. Of the U.S. attorneys serving in states that have legalized recreational marijuana, Williams has been the most active in the aftermath of Sessions marijuana policy shift. He followed up on the op-ed at the beginning of February, convening an unprecedented summit of influential federal law enforcement representatives, state officials, and marijuana industry members to discuss Oregon’s “formidable” problem with marijuana overproduction. Nominated by Trump last September and confirmed by the Senate last November. Less than a week after Sessions’ marijuana memo, the Green Mountain State became the ninth to legalize recreational marijuana and the first in the country to do so by an act of the Legislature rather than through a referendum by voters. While the law now alows adults to possess and grow small amounts of marijuana, it does not set up a system to tax and regulate its production and sale. After the legalization bill passed the state house, Vermont’s Rutland Herlad reported that the U.S. attorney is focusing on issues other than marijuana. Asked by the Herald whether Sessions’ announcement rescinding the Cole Memorandum would affect prosecution in Vermont, the spokesperson declined to comment. “This United States Attorney’s Office will continue to ensure, consistent with the most recent guidance from the Department of Justice, that its enforcement efforts with our federal, state, local, and tribal law enforcement partners focus on those who pose the greatest safety risk to the communities in Eastern Washington, by disrupting criminal organizations, tackling the growing drug crisis, thwarting violent crime, and corralling white-collar fraudsters in this District,” he said. Acting U.S. attorney since October 2014, when the district’s top prosecutor resigned and President Barack Obama declined to make an appointment. Like her colleague on the other side of the Cascades, Hays released a statement Jan. 4 pledging to prioritize public safety as it pertains to the state’s marijuana laws. 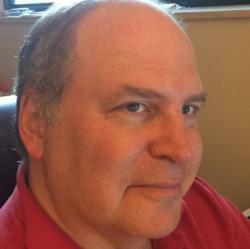 An analysis by Daniel Shortt of Seattle law firm Harris Bricken uncovered no examples of Hayes’ office prosecuting a licensed marijuana business since becoming accting U.S. attorney in October 2014. Nominated by Trump last June and confirmed by the Senate last September. Liu’s office released a statement to the Washington Post that said her office’s prosecutors will use “discretion” in selecting which cases it pursues.